You are going to love the warm colors in this set. 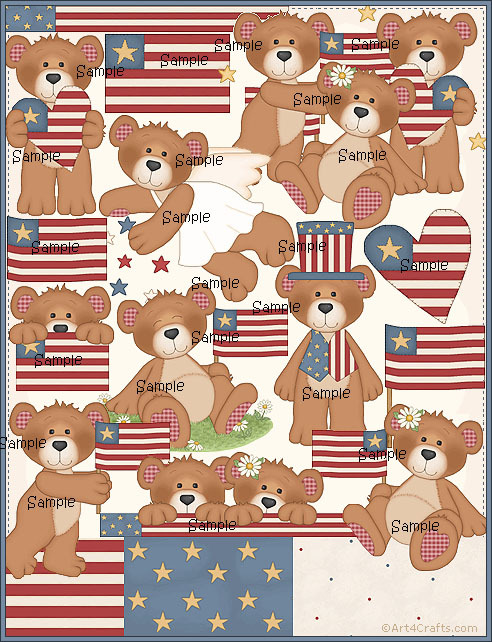 There are cute teddybears and lots of red, blue and white. The outlines are smooth to make them easy to cut out.